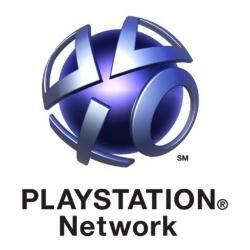 In a statement Sunday from the head Sony executives the PlayStation Network and related services that were taken down because of a security breach will slowly come back online later this week with beefed up security. This two-week long incident caused mass panic as a hacker forced their way and caused Sony to shutdown the network. During a press conference today in Tokyo, Kaz Hirai, Sony executive deputy president and successor to CEO Howard Stringer, started off the press conference by offering their â€œdeepest and sincerest apologiesâ€ for the outage. The Sony executives took a very serious blow to this breach and it is clear they are genuinely sorry for the incident, going as far as to hang their head to the press audience in the customarily Japanese way, they continued to apologize to customers whose personal information was compromised during the attack. Kaz Hirai confirmed during the talk that user account information was stolen as a result of the attacks that breached their servers. Sony executives said that they were first alerted of the attack on April 20 and since the first warning has worked with authorities and two security firms to investigate the issue. The question on everyone’s mind, was credit card information stolen in the attack? The Sony executives claim that they have found â€œno evidenceâ€ to the credit card information being stolen. But Sony hasn’t ruled out the possibility and are urging customers to check their credit card statements in the coming months to be sure that nothing was stolen. To put to rest any other concerns, Sony says that is has moved PSN and Qrioicity to a totally new data center and has implemented more security measures including additional firewalls, enhanced encryption and software monitoring. To make sure all of this is running smoothly and properly they have created a new position within the company Chief Information Security Officer who will report directly to the Chief Information Officer about any security concerns. When the network is back up Sony will require all users to change their password and deploy additional security measures to verify identity. The whole service is expected to be back next week as a result of Sony’s efforts. When all services are back up Sony will be launching a “Welcome Back” campaign as an apology to users, all affected users will receive a 30-day subscription to PlayStation Plus and select free software downloads. Qriocity users will also be receiving 30 additional days of service for free. But is this enough to gain faith back from their users? Next articleWhat is Empire Avenue?